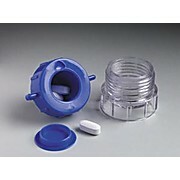 Strong plastic, adhesive flap for tamper resistant sealing after the pills have been crushed. 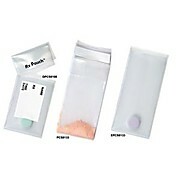 Pills are protected during transport. No product spills.